Cupcakes, Cakes, Cookies, and Everything Else Sweet! This cake was made for a friend of the family's birthday. It is vanilla cake on the inside with just normal vanilla frosting. 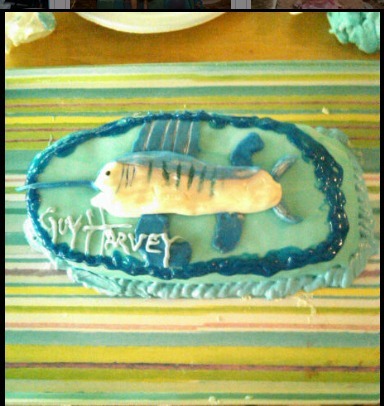 It's covered in light blue fondant with a blue rope-like piping around the bottom and blue gelatin looking like water. 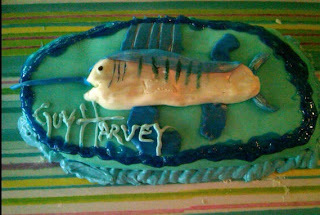 We sculpted a fish to put on top. 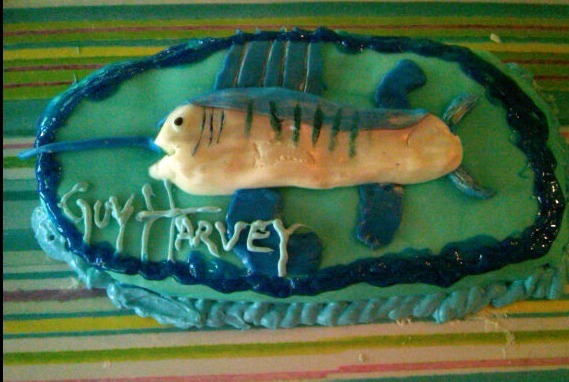 We even piped the Guy Harvey logo!